The May 2019 Newsletter is Here! King of Hearts??? - 42 Cards Left - Where is he??? 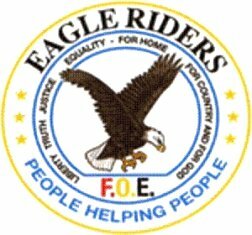 For over a century, the Fraternal Order of Eagles have been a major influence internationally, nationally, regionally, in our states and provinces, and most of all..... in our communities. The EAGLES started Mothers Day, provided the impetus for Social Security and ended job discrimination based on age. We have built training centers all over the world. We raise millions of dollars every year to combat heart disease and cancer. We help handicapped kids, uplift the aged and otherwise make life a little brighter for people not as lucky and blessed as we are. We uphold and nourish the values of Home, Family and Community that are so necessary and it seems, so often today, ignored and trampled in society. We are home town builders. We support our military, police, firefighters and others who protect and serve us. We fund research in areas such as Heart Disease, Kidney Disease, Diabetes and Cancer. We help raise money for neglected and abused children and for the aged..... We are the Eagles, and we are People Helping People. We are volunteers and have fun volunteering. Our praises have been sung by Presidents and Prime Ministers, but still today too many people wonder "WHO ARE THE EAGLES?" It is time to get out the word, WE ARE THE EAGLES! Since 1898, we have been leaders in the effort to make the world a brighter and better place for everyone and have proved and stood behind this commitment every single year. Would you like to receive information from us on how to become an Eagle member? Contact us and we'll be happy to provide you with information or answer any questions you may have. Would you like to join our Aerie? Click on the appropriate link: AERIE or AUXILIARY for our applications and come support our efforts for a brighter future for everyone!